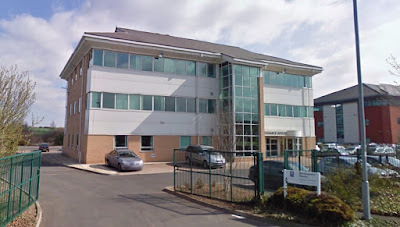 Another Government office in South Yorkshire is under the threat of closure - the UK Commission for Employment and Skills (UKCES) office in Manvers, Rotherham. UKCES is a publicly funded, industry led organisation providing strategic leadership on skills and employment issues in the UK. It has offices at Adwick Park and brings together commissioners that include CEOs of large and small employers across a wide range of sectors. Around 60 jobs are at threat after the Government said that it was making savings from the commission in the 2015 Spending Review. Last week, Department for Business, Innovation & Skills (BIS) - the Government department responsible for economic growth - announced plans to close its Sheffield office - a move that puts 250 staff at risk. Permanent Secretary Martin Donnelly announced plans to close the office in the prime St Paul's Place location by 2018 as the department creates a combined central HQ and policy centre in London. PCS, the union that represents civil service and other public sector staff said that the two decisions are a major blow to the economic development of Yorkshire and the government's publicly stated objectives of creating northern powerhouses to stimulate and drive economic growth. Lois Austin, full time officer at PCS, said: "The decision to close the BIS office in Sheffield and transfer the work to London combined with the decision to close the Wath UK Commission for Employment and Skills demonstrate that cost cutting and anti austerity policies of this Government override the need for regional economic development. "PCS and other trade unions will oppose these closures and the loss of jobs with all available resources and we call upon business leaders to join our campaign to support growth and innovation in the region." Nicholas Boles, Minister for Universities and Science, said: "As announced in the 2015 Spending Review, in order to prioritise funding to allow the core adult skills participation budgets to be protected in cash terms, savings are being made from the supporting budgets including the UK Commission for Employment and Skills (UKCES). "Whitehall Departments will be withdrawing their funding for UKCES during the 2016-17 financial year. The Department for Business, Innovation and Skills is working with UKCES to manage the implications of this decision." The Government is expected to create a new body - a new institute for apprenticeships - to support employer-led reforms to ensure quality. Let's face it, ukces is a useless organization. It, and previous incarnation the SSDA, have wasted hundreds of millions of pounds of tax payers money over many years. The 'skills gap' they sought to address is wider than ever. They're staffed by overpaid people doing non-jobs. A communications team of ten people, for one thing, and nobody has ever heard of them! It's a shame people will lose their jobs, but most working there don't live in South Yorkshire anyway, and will no doubt be getting hefty payouts or plum jobs in the equally useless spin-off sector skills councils. Only a handful of which are any good - and already existed previously. How do I know all this? I'm a former employee. I didn't hang around long, as it was always plain to me such an ineffective organization would get the plug pulled at some point. I'm just surprised how long theyve lasted. If I'd known, I'd have stayed longer! While other, more vital, services have been cut. Totally agree with the comment above. A shame for the region, but UKCES was useless.